Thanks for dropping by again! 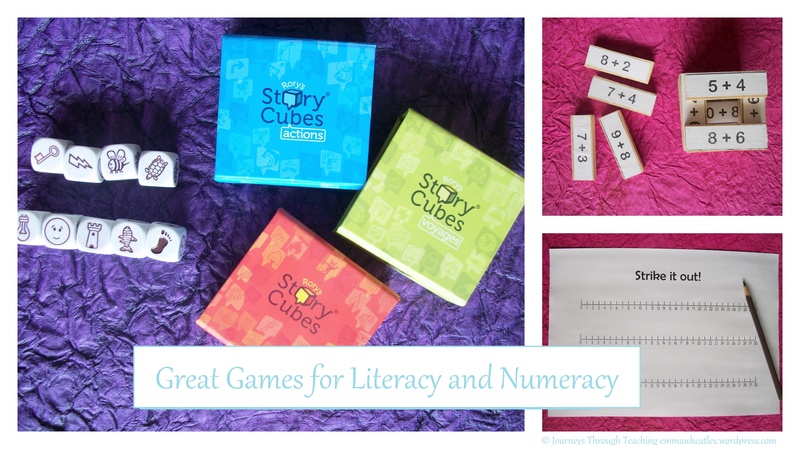 This week I’m kicking off my mini-series on some of my favourite English and Math games to play with primary school students, you can find the introduction to this mini-series here. In this first post I’m looking at games that I’ve either brought and used as they are, or re-purposed. Most of these are picked up pretty cheaply and all make a great addition to the classroom. In general I use these for small group activities to sneak in some extra practice of a concept or skill. I’ll play with the students a few times until they have the hang of it, then let them take over! This classic card game is great for general number sense and to encourage a strong bond between maths and fun! It’s also really useful to have around to re-purpose for lots of other games too. For anyone who doesn’t have this in their classroom I do highly recommend grabbing a pack! Why I love this game: Simply put, the kids love it – and anything that makes maths fun has to be a winner! 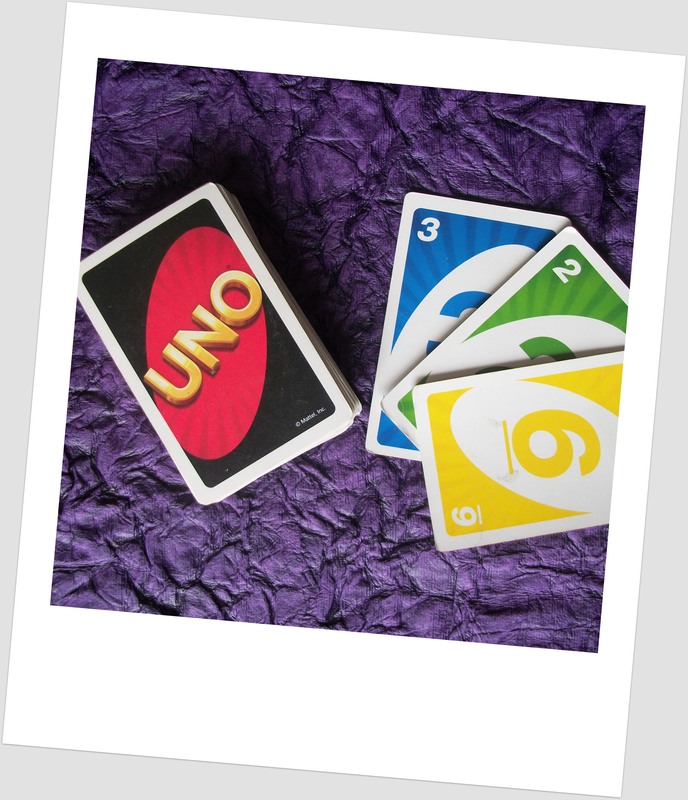 While we’re still thinking about Uno cards a lovely way to reuse them is to play Addition Quick Draw. Two students split the deck and each draw a card at the same time. The first student to successfully add both cards together keeps them. The winner is either the first person to win the whole deck (if you have the time) or has the most cards in a given time period. It’s an easy switch from here to subtraction or multiplication too, and a third student can join in as referee easily too. Why I love this game: it’s a great way to get in lots of fact practice without heavy and quite boring drilling! My class of 7-9 year olds love to play this (especially at the start of the year). As you can see from the picture, it’s much like regular Jenga, only when you successfully pull out a brick you also have to answer a maths question. 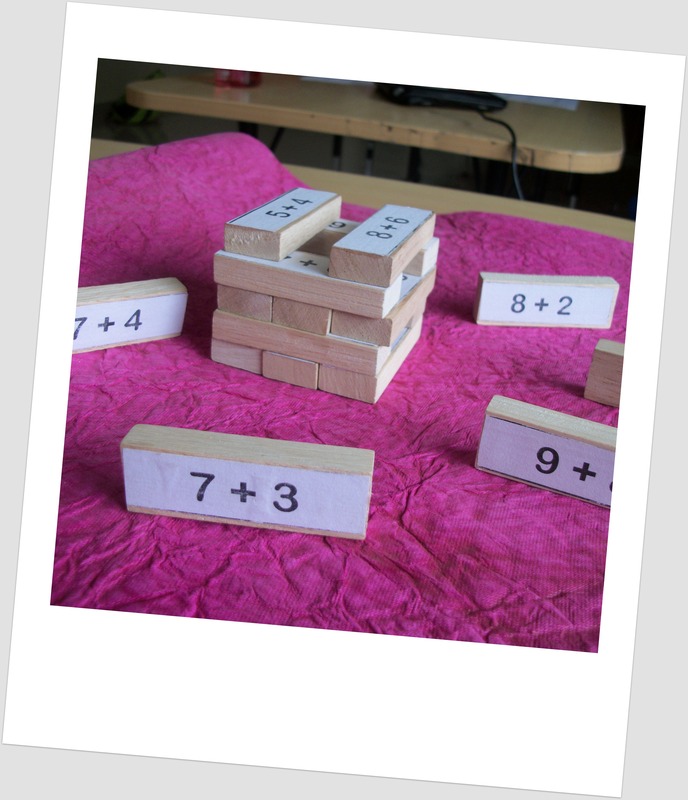 To make it I used a well-loved Jenga set and printed out some addition and subtraction problems then glued them on. This process is a little time consuming, but for me it was well worth it as my set has lasted 3 years now! Why I love this game: it’s fun, it’s a great ice-breaker in the first few weeks. I love these! Each box has 9 dice in them, and students roll out the dice then use the pictures to prompt a story. There are plenty of combinations and imaginations soon run wild! 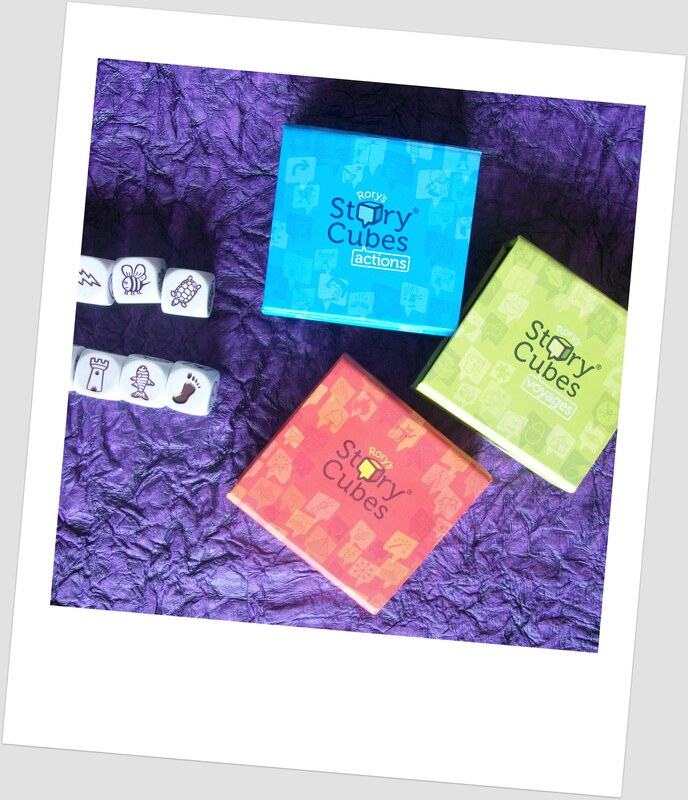 I now have 3 sets of the cubes and they get used weekly! Why I love this game: It really helps students who struggle to make up their own stories to get their creativity flowing. Why I love this game: After a quick practice with me, my students soon took this on as their own game with one person being the ‘game master’ for each round. It turned into a great group word work activity. 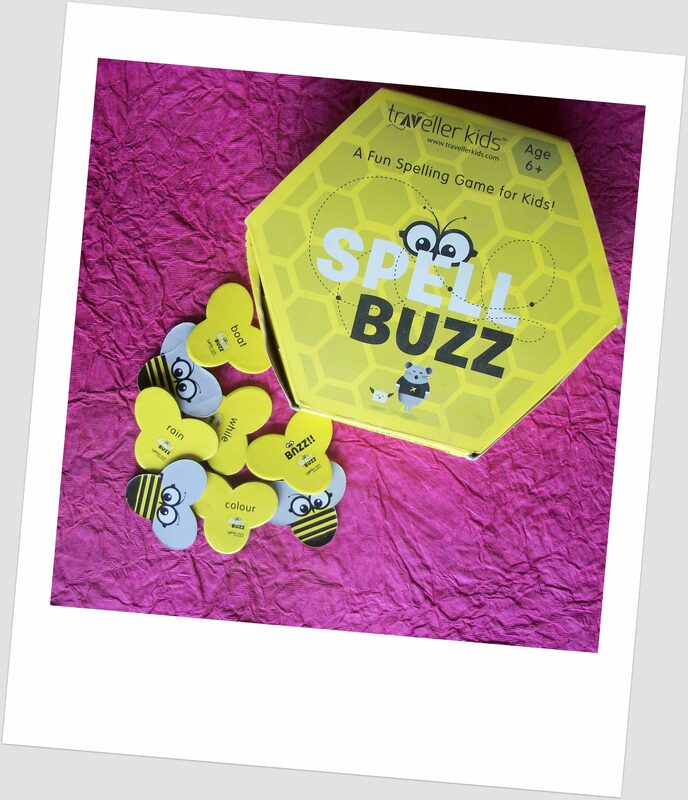 This little game is great for recognising spelling patterns and is also a lot of fun to play. You create a word (I usually do a common four letter word) and then divide the rest of the cards between the players (3-5 works best). The idea is to get rid of your cards by changing one letter at a time to make a new word, e.g. lake -> rake -> race etc. 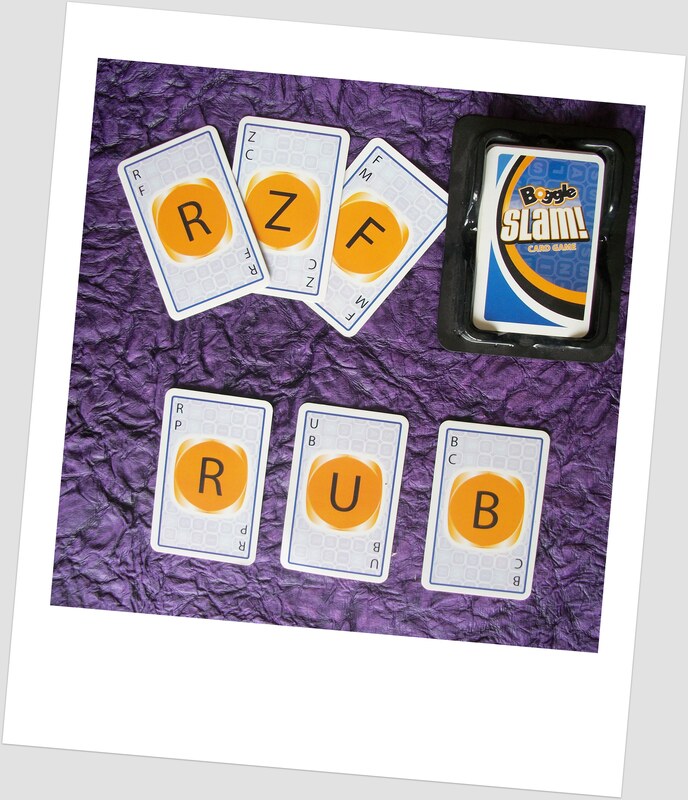 Why I love this game: It’s just a lot of fun to play, so its a bonus that it is also great for spelling practice! That’s it for Part One, if you’d like to check out the other posts in this series please keep an eye on the intro post here, and come back soon!